Offers end-to-end IoT platforms for companies that wish to incorporate smart wearables and other IoT tech into existing or new products. First collaboration in Singapore to bolster the underserved micro SME segment. Platform enables SMEs to build their online stores with integrated payment and shipping functions and sell their products or services through multiple channels. They will develop IIOT capabilities and intelligent applications to enhance power network reliability and efficiency in the island state. You can't run away from digitisation and e-commerce as they are the future of business, according to Stridec CEO Alva Chew. Intraix wants to help both consumers and businesses understand their ‘energy data’ and how to use that information to save energy – and money. The final article of a three-part series on Singaporean SMEs and digital transformation looks at how successful government programmes have been. 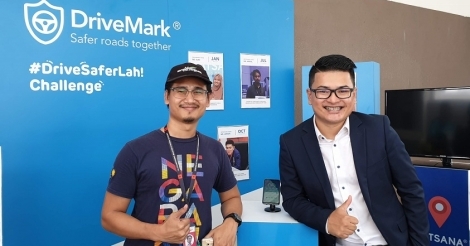 Singapore-based social enterprise and ‘civic technology’ startup Start Now Pte Ltd announced it has been acquired by Goodtizens Technologies Pte Ltd, a spinoff company by The GoodWater Company Pte Ltd. The cold, hard truth is that 90% of startups fail within three years, and it is this ‘valley of death’ that Apple Seed Venture Incubator is aiming to help startups navigate past, according to its CEO Kumaran Pillai.